Back to the wedding dress. 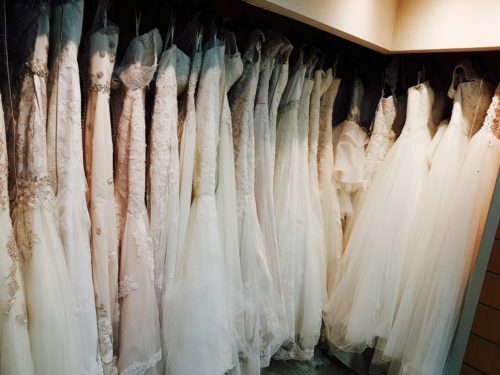 You can’t imagine what its like to contact bridal shops in Dubai in the middle of the summer during Ramadan. You just can’t. Working hours are reduced, people don’t respond, unanswered phones, snickers when I tell them the wedding is six weeks away but that I’m traveling in three. One shop, Pronovia, sent a follow up email after the wedding was over even though the date was clearly mentioned on their online request system. Ha. Maybe they thought it was for July 2017. 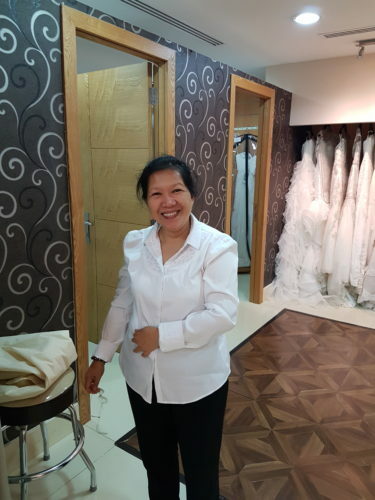 Finding a wedding dress in Dubai on such short notice was next to impossible. 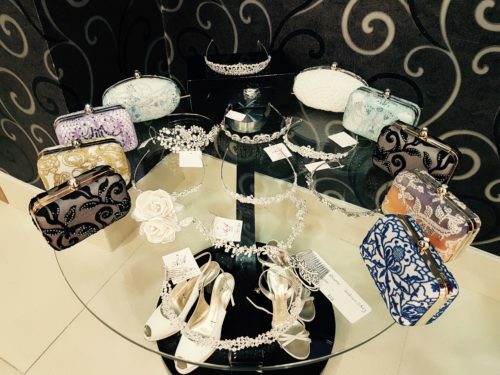 Enter Contessa Bridal in Jumeirah Lake Towers. I called up Contessa and was given an appointment immediately after a desperate plea on my behalf. Heidi, the always smiling seamstress, greeted me at the door with a welcoming but concerned for me look. 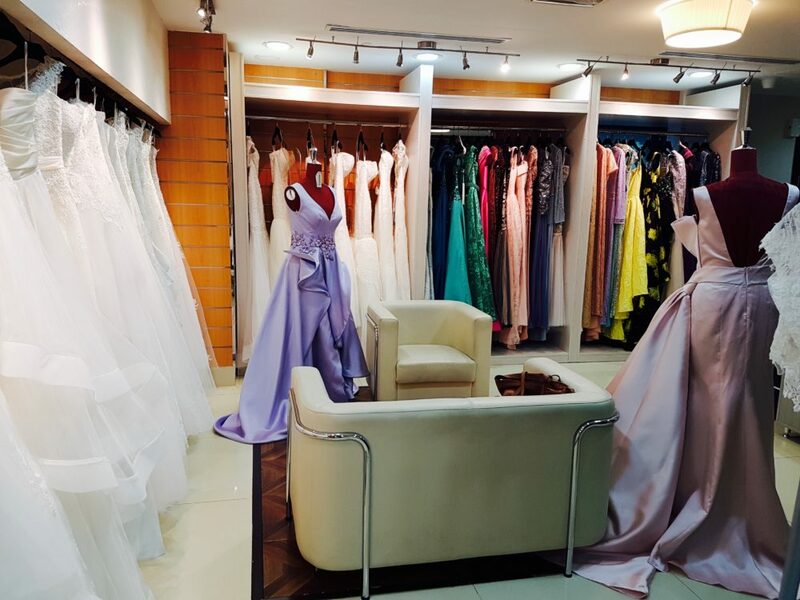 She kept me calm while I tried on many wedding dresses in several different cuts. Contessa, while not a huge boutique, carried a diverse selection. Not to mention, I’m 5’9 and not a size 4 so I was relieved when I saw dresses in different sizes. Bingo. I dragged my fiancé to the boutique later that evening and we made the decision to go ahead with a beaded lace and tulle ball gown cut. Clearly I don’t care about wedding superstitions. I even had the nerve to ask Heidi for an in depth alteration to the sleeves. I wanted them off the shoulder which meant a complete reworking and additional tulle to the back, she obliged. 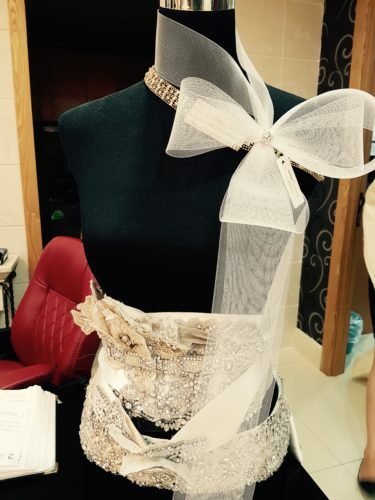 Mohammed, the owner, was also involved in making sure that my dress was everything I wanted it to be. 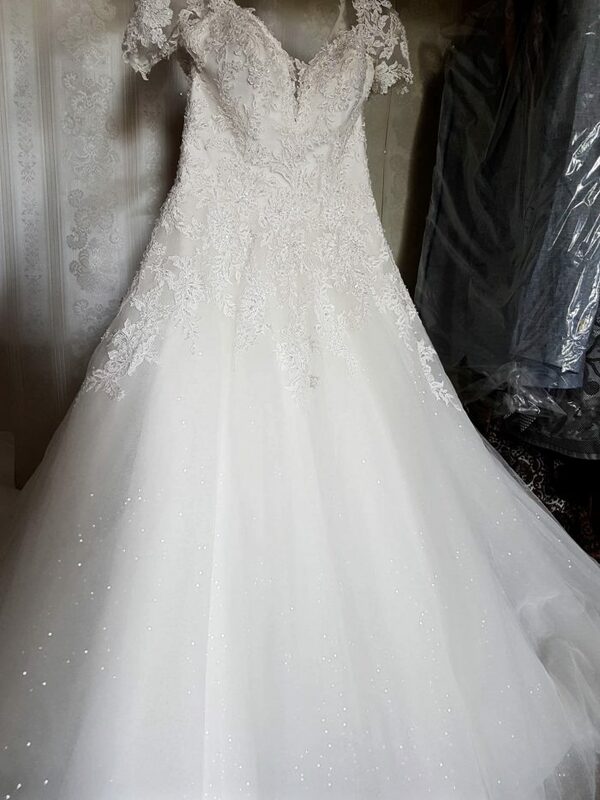 Less than two weeks and three fittings later, I had in hand my wedding dress in Dubai. It even traveled perfectly through several airports. Disaster averted. Thank you Contessa! This is not a solicited review nor were any concessions given by Contessa as a result.